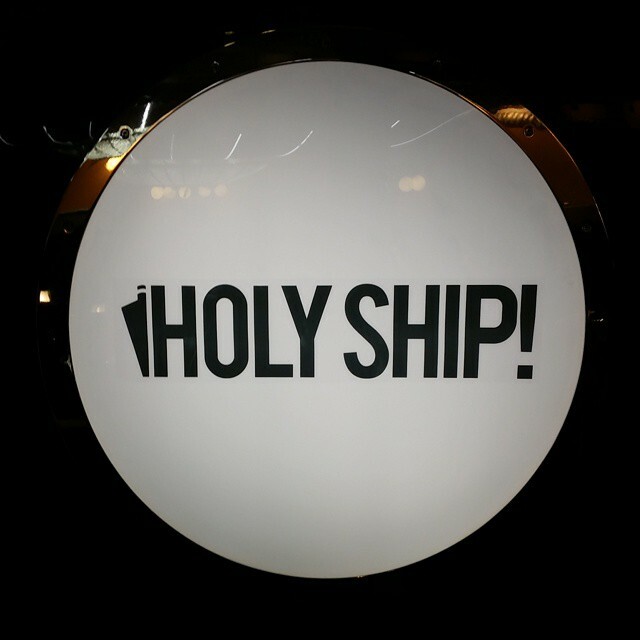 If you don’t know what Holy Ship is then where have you been for the past few years?! It is basically a festival on a cruise ship organised by Destructo aka Gary Richards. 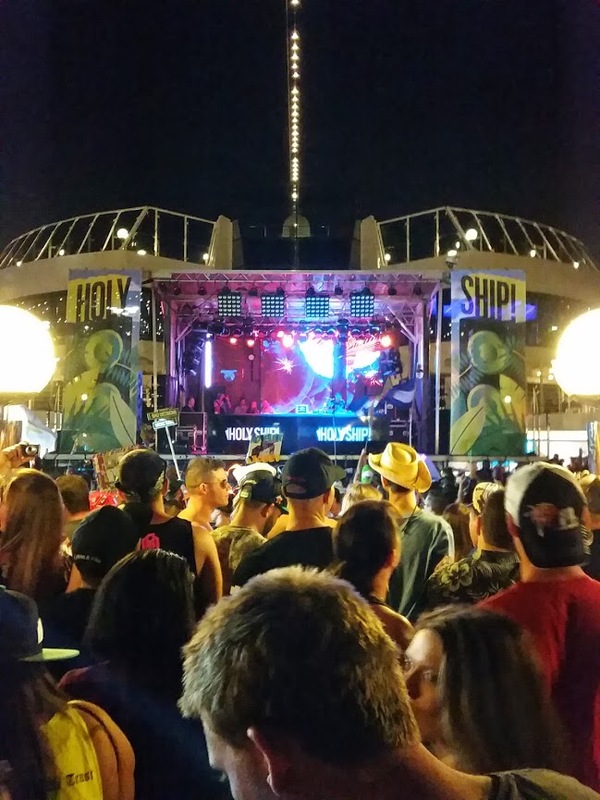 This year was the first year with two sailings and we were lucky enough to attend the Holy Ship – February 2015 sailing. Before you even depart there was the pre-party at Space where a handful of DJs from the boat warm you up. There were three question marks looming as to who would go B2B with Baauer and it turned out to be Skrillex. They both threw down a storm of a set along with all the other DJs. There were a few hazy heads in the never ending line on Wednesday morning but nothing compared to what is to come over the next few days as Space finished at a respectable 4am. Once aboard the antics were already starting. Fatboy Slim aka Norman Cook opened the festival and got everyone in the party mood as the sun went down and boat set sail. Some acts were rearranged on the Pool Deck due to high winds but this didn’t stop the party, it just made everyone sway a lot more! I have no idea who i saw most the night as people got rearranged but i do know Skrillex definitely had the boat rocking at the end of the night! The second day the boat docked in Nassau. Before the music started for the night, Fatboy Slim dropped an unplanned set next to the lifts which once again got everyone ready for the night ahead. It was cold again outside but this didn’t stop anyone from partying especially as it was the first fancy dress night for Mardi Gras. Tchami laid down the highlight set of the festival which I really hope someone recorded and gets put online! Subfocus also laid down a sick set followed by lots of Dirty Bird goodness in the Black and White Bar. There was another surprise set from Skrillex who rocked up at a bar in the middle of the boat! The unplanned sets make a great addition! I was gutted i missed Destructo’s Sunrise Sermen as people said it was definitely worth staying up for! Unfortunately sleep got the better of me. On the third day the seas were rough once again and we were unable to depart to Coco Cay. This didn’t stop the music and the Noah’s Ark themed fancy dress! The afternoon was spent on the pool deck where the sun finally decided to show its face later in the afternoon. As the music went on into the evening the second special guest turned out to be Kaskade who laid down an epic set. This was also the night of B2B’s galore in the Black and White bar. Too many names to mention but hopefully these will be uploaded to soundcloud by someone! Leaving the boat on the last day is probably one of the worst things you have to do! You get kicked out your cabin at 7am and many people have not been to sleep yet. I thought i was bad but at least i wasn’t as bad as the guy who had to get carried off! The festival wouldn’t be the same without the people who made it what it was. Shipfam are some of the friendliest bunch of people you will meet and the best thing about it is that you keep seeing them throughout. Many give out random gifts such as wrist bands, temporary tattoos etc. They also make some serious fancy dress effort and love a photo in an overcrowded lift, sharing a slice of pizza or talking about amazing hash browns. I can’t recommend Holy Ship highly enough and i feel this article in no way sums it up! There is too much going on and too many experiences that you just have to witness it for yourself! 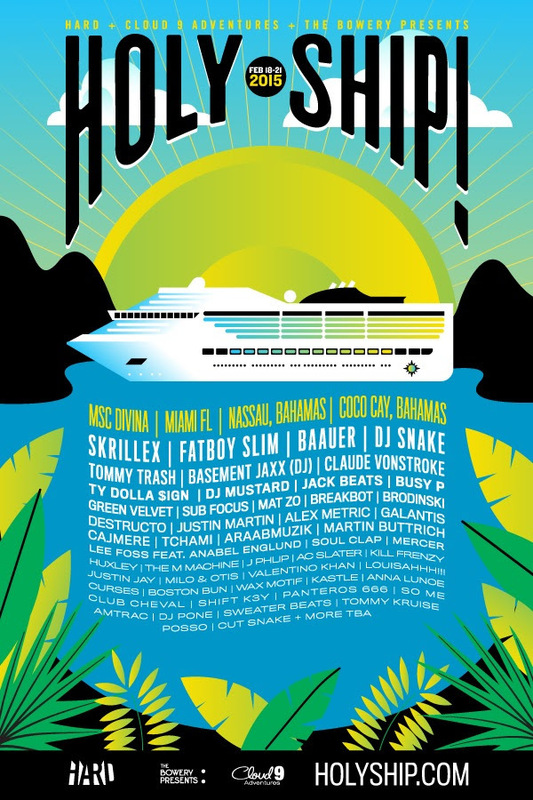 I will definitely be signing up for Holy Ship 2016! PS for those of you lucky enough to live in the USA and want to hear sets from the boat, they will be streaming on Sirius XM from March 6th to March 9th.